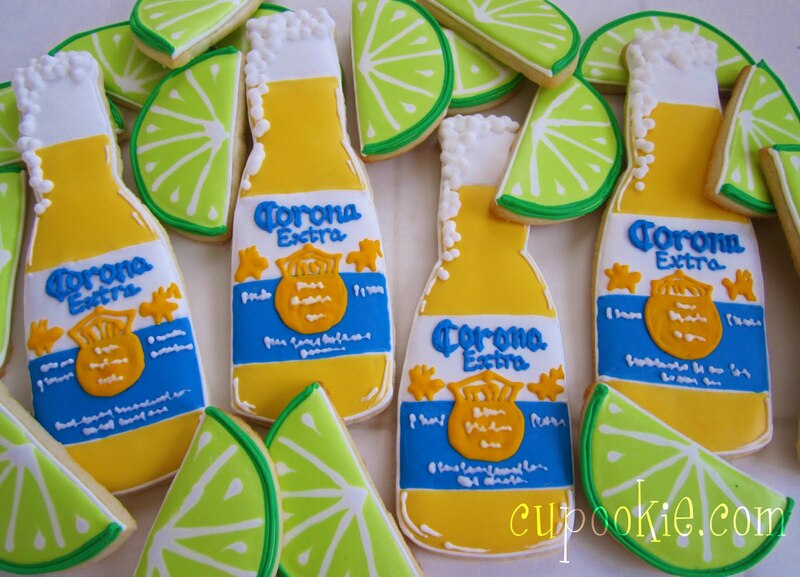 Cupookie: corona beer & hawaiian shirts! my uncles birthday is this weekend & we are having a BBQ/swim party for him. 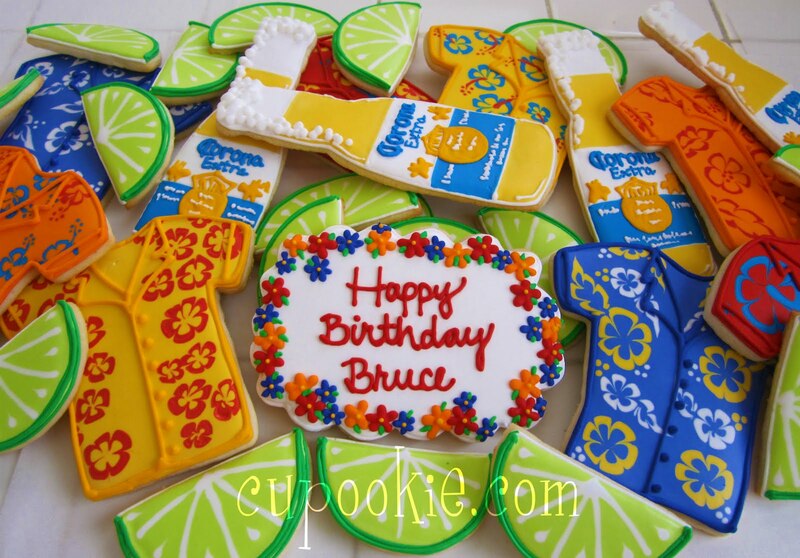 i decided to make some cookies of his two favorite things...corona beer & hawaiian shirts. 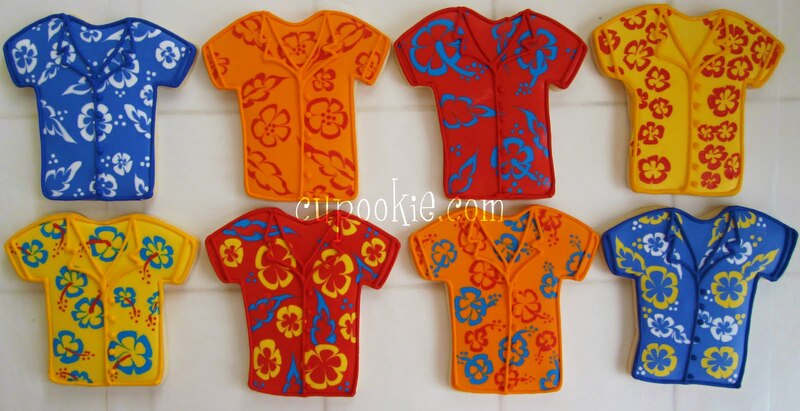 haha well i dont know if hawaiian shirts are one of his two favorite things but i know he wears them all the time. these cookies were fun to make. cant wait til my family sees the cookies. summertime fun!!! oh yeah!! !